← Planet Greta: The Return! 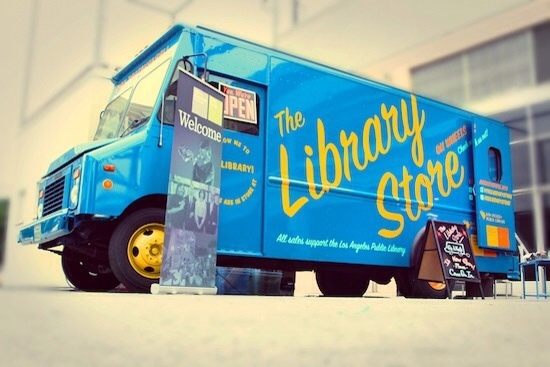 Library Store on Wheels in the news! 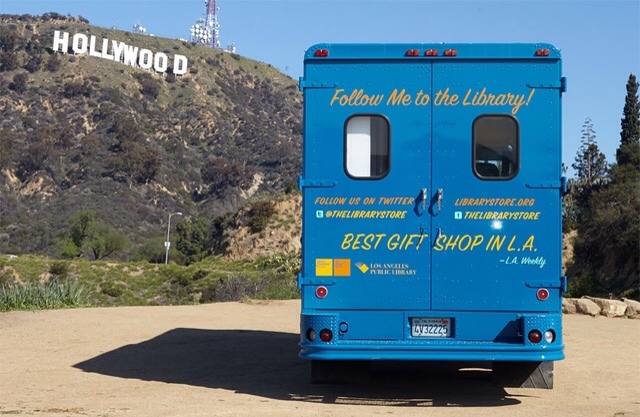 Hot on the heels of being named one of Wuztwhat's Seven Havens for Booklovers in Los Angeles, The Library Store made the news again this week when the store's mobile truck (and Mrs. Yeti herself!) appeared on Thursday's 6:00PM news on KNBC 4. Featured in a segment on a proposed bill to streamline and simplify the permit process for mobile vendors and retail trucks, The Library Store on Wheels was just one of three trucks in the piece, but, they definitely got the most screen time. I think they have the coolest-looking truck too, but, perhaps I'm a bit biased. Either way, kudos to Mrs. Yeti and everyone on her rocking Library Store team on yet another awesome TV appearance. Keep on mobile trucking, guys!